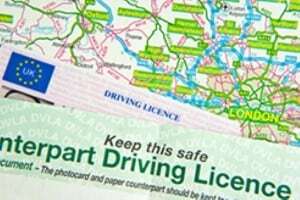 The Institute of Advanced Motorists (IAM) is calling on drivers across the length and breadth of the country to be aware of the fact the paper counterpart to their driving licence is being scrapped from June 8th. From the start of next month, the paper counterpart will hold no legal status in terms of denoting an individual's authorisation to drive – something that all road users will need to be aware of, but especially those who use such written records either for work or play at present. Professional drivers will no longer be able to use their counterpart when securing new employment – although a new automated system by the Driver Vehicle and Licensing Agency (DVLA) is being implemented to counteract this issue. Meanwhile, individuals carrying out tasks like arranging for hire cars will need to remember to access the DVLA's Share Driving Licence service, which will act as accreditation of their driving credentials in lieu of the paper counterpart. IAM chief executive officer Sarah Sillars said: "People are not aware of how many of the current procedures are changing. Similar to the abolition of the tax disc, they assume much of what has happened before will continue. "The onus is very much on the individual to obtain the information they need beforehand. So we very much hope people will not be caught unawares, especially if they don't want a nasty surprise when arriving to collect their car at the start of their holiday." Motorists planning to hire a vehicle should remember to contact their leasing firm in advance to ascertain the exact credentials they will need to produce upon arrival.